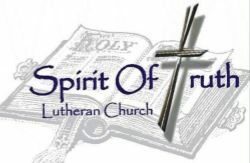 Spirit of Truth Lutheran Church was started in May of 2012 as a mission start congregation of the North American Lutheran Church. We invite you to worship with us each Sunday, 9:30 a.m. at 112 E Annabelle St., Brandon SD. Pastor Jerry Merkouris was installed as our first full-time pastor on Sunday, April 14, 2013, by our district dean, Pastor Randy Eisenbeisz. Our Sunday school meets for all ages at 10:30 a.m. following the worship service during the school year. We have a middle and high school youth group program and confirmation on Wednesday nights. We also offer Bible study on Sunday morning for adults as well as during the week. Email us at spiritoftruthlutheranchurch@gmail.com with any further questions. *The following is taken from the NALC website. We as a congregation subscribe to their core values as well. The NALC is a fast-growing Christian church body in the Lutheran tradition, uniting more than 130,000 Lutherans in more than 340 congregations across North America. The NALC embodies the theological center of Lutheranism in North America and stands firmly within the global Lutheran mainstream. We strive to be a church body that is organized to facilitate the ministries of local congregations in a posture of servant hood and a spirit of partnership, through the provision of resources, connections and information.